“Skankin’ Sweet” taken from the Chronology album out now. “Under the pressures of life and it tough / Nuh stay down mama, time fi get up / Nuh bother with the downful style / strictly upful vibes and pick it up / When the bills dem / the rent and the mortgage due (weh’ mi chalice) / When your best friends are gone and it’s only you/ Light up a spliff turn up the music,” Chronixx sings. The 25-year-old Jamaican singer just wrapped his Africa Tour covering Kenya and Seychelles and heads to North America this August. Chronixx, whose given name is Jamar McNaughton secured two awards at the 2018 staging of the Your View Awards (YVAs) held at the National Indoor Sports Centre in St Andrew, Jamaica earlier this year. He won awards for ‘Favourite Local Chart-Topping Song of the Year’ with ‘Likes’ and Favourite ‘Local Album of The Year’ for ‘Chronology’. 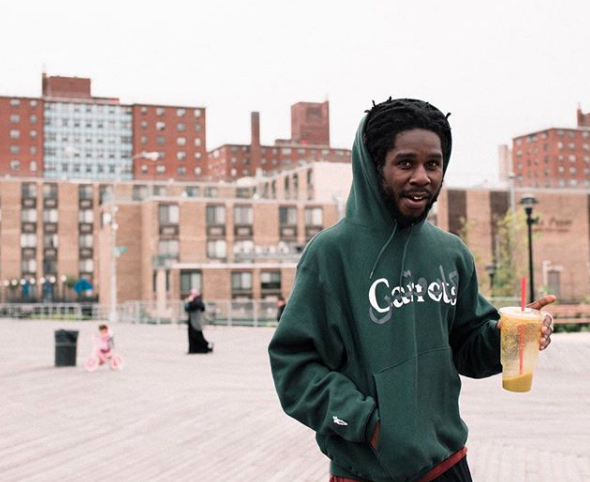 Watch Chronixx “Skankin’ Sweet” Music Video below.